Throughout the ages, lovers have looked for ways to prove to the world that theirs is true love capable of lasting for eternity. From poetry to romantic serenades, from inscribing hearts on school desks to carving initials on a tree, different traditions have cropped up as couples looked for a way to show their love and commitment! 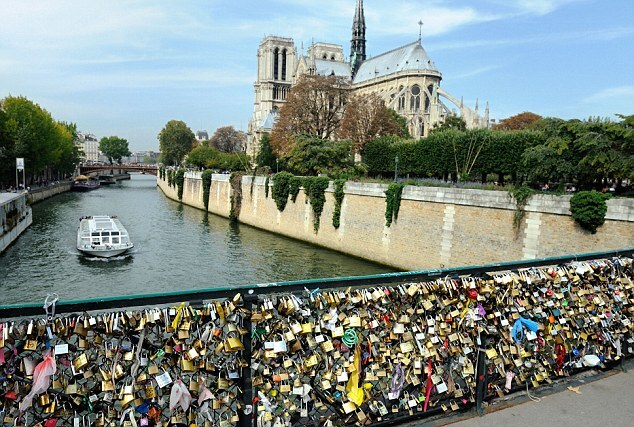 One such tradition can now be found in lovelocks... padlocks which sweethearts lock to a bridge, fence, gate, or similar public fixture to symbolize their love. 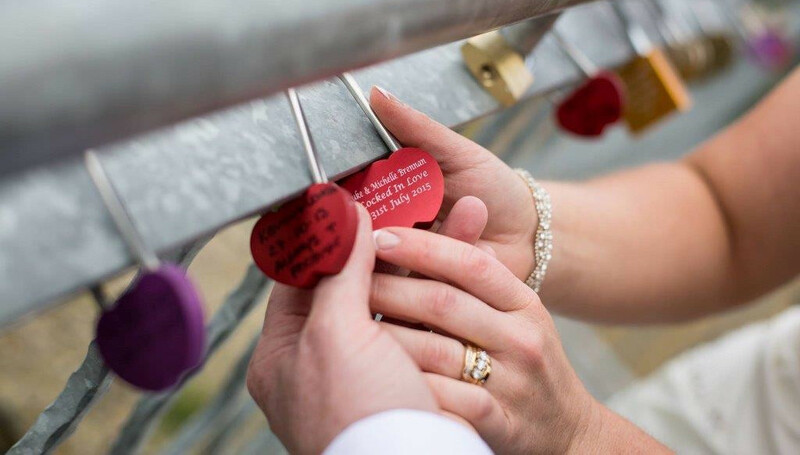 Traditionally the sweethearts' names or initials have been written or engraved on the padlock and the key thrown away as the lock is attached symbolising unbreakable love. It is widely believed that this tradition has long been an established custom but debate exists on how this tradition became widely known. One tale has the inspiration for modern lovelocks as an ancient Chinese custom where lovers locked a padlock on a chain or gate then threw away the key, locking their love forever. Another has the legend beginning over 100 years ago in Serbia during World War I in the village of Vrnjačka Banja. According to the story, a local school teacher fell in love with an army officer who was sent to war in Greece where he then fell in love with a local woman on the island of Corfu. The young schoolteacher never recovered from her heartbreak....this story soon become folklore and dozens of young romantics began to look for ways to protect their love settling on writing down names on padlocks and affixing these on to the railing of the bridge where the schoolteacher and army officer used to meet. But fear not! Romance is still alive! 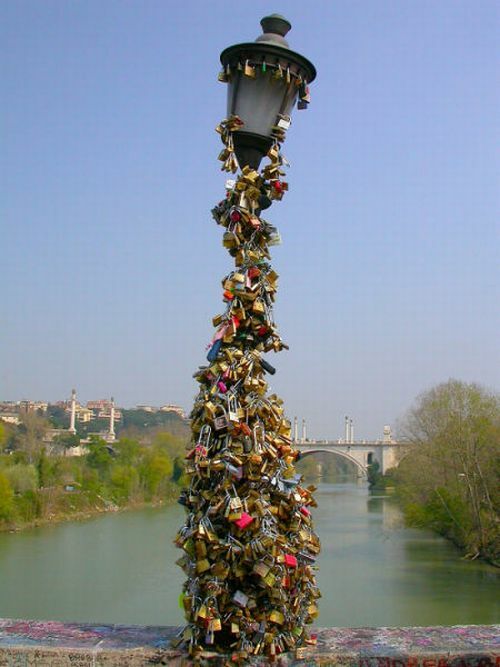 Luckily for this romantic tradition, many cities and destinations have developed pieces of public art and sculptures especially designed to which couples can attach their lovelocks! 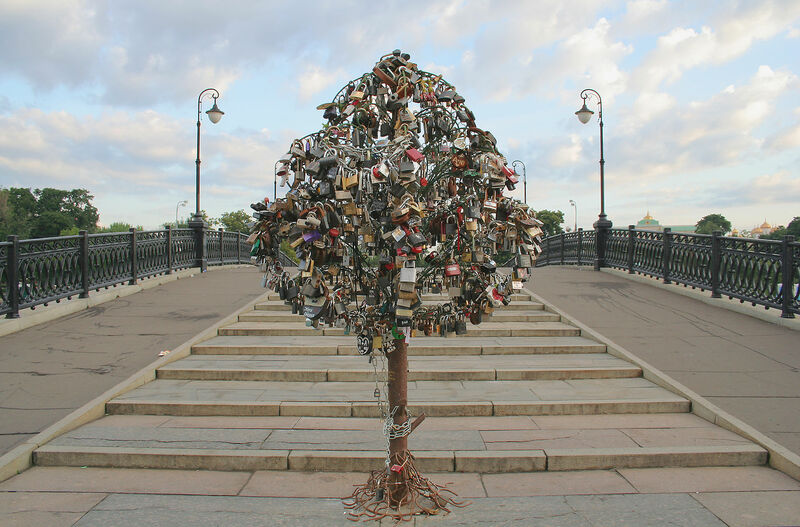 In Moscow, metal trees have appeared where couples have been attaching lovelocks since 2007....linking in with cultural traditions of inviting good luck by visiting a bridge for a kiss on their wedding day! 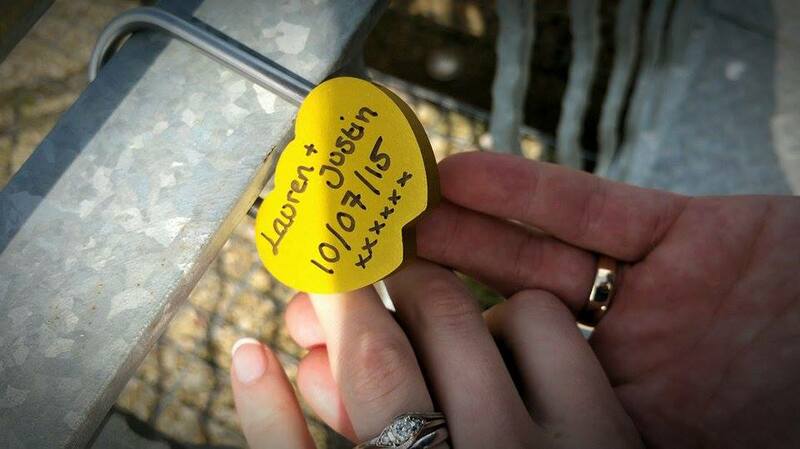 Here at Gretna Green, couples are invited to leave their lovelock on the bridge in the middle of our Courtship Maze....we even have our very own Gretna Green lovelocks available on site if you're feeling spontaneous and romantic! In Cologne, the Hohenzollern Bridge welcomes lovelocks as does a special installation just up the road from us at the Forth Bridge in Edinburgh. 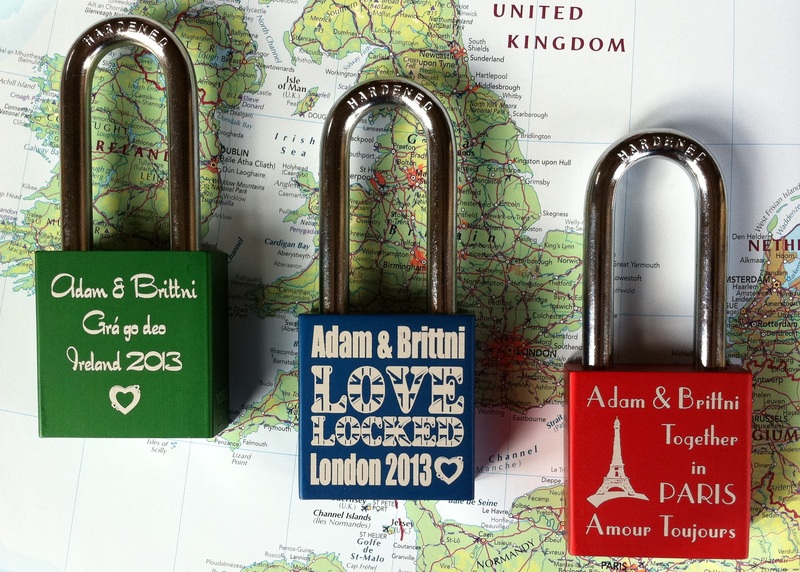 Just like our Gretna Green lovelocks, many of these sites offer couples the chance to purchase special lightweight lovelocks meaning many locks can be attached without harming the installation and eliminating environmental concerns caused by the accumulation of keys as these locks only close the once, locking your love forever! 1. 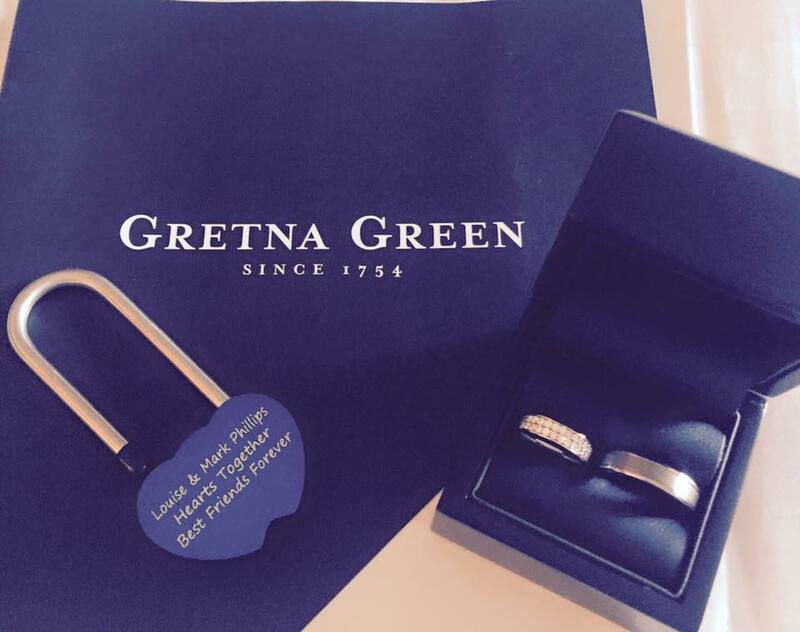 Click on the link here to get your very own personalised Gretna Green Lovelock sent direct to you! 3. Buy onsite when you visit Gretna Green (for sale in our Whisky & Gifts Shop) where you can personalise them in traditional romantic way using a Sharpie Pen.